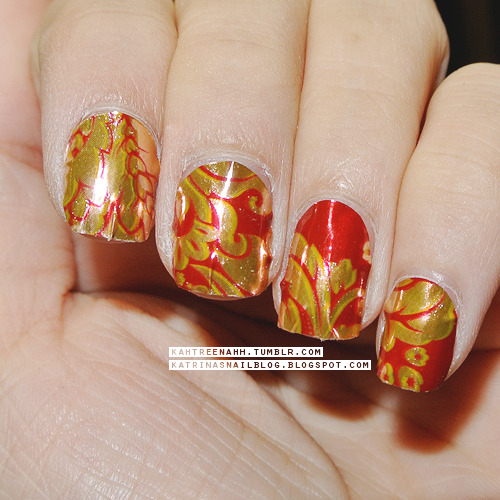 Will, of OMG Nail Strips, recently sent me over two nail strips to try; I received Tiger nail polish strips & Red/Gold Floral nail foil strips. 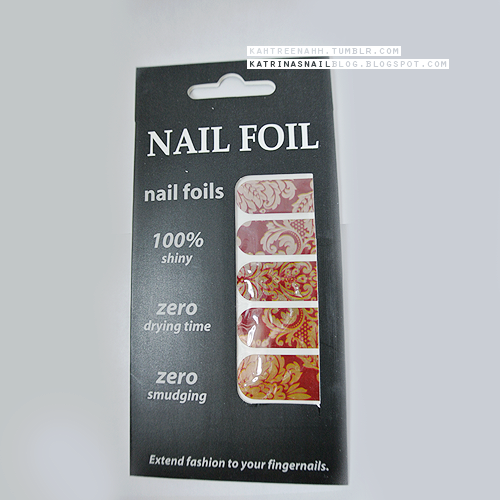 OMG Nail Strips has both foil and polish strips starting under $5. 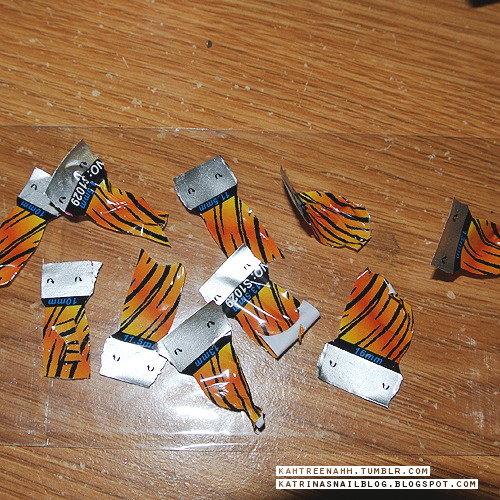 This is the Tiger nail polish strips; there were 14 different nail strips. I've had experiences with other nail strips but these worked so well! 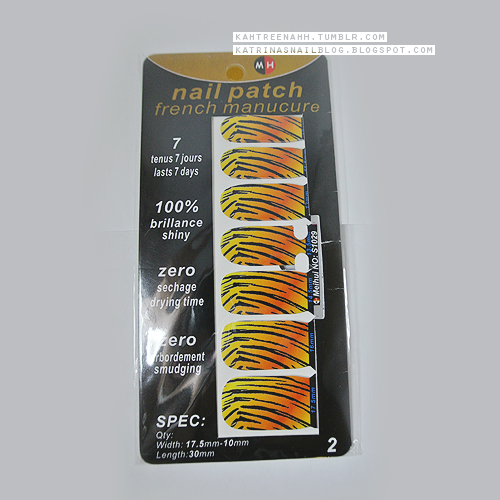 I truly enjoyed these; they were easy to work with, application and removal was easy, it was comfortable on my nails, there were no lifting and/or curling at the edges, and there were no air bubbles and/or gaps. The sizes of the strips fit very well and adjusting the strips were also easy. This was the left overs; I think the strips would have been long enough for two uses but because of the tip/back, it is only good for one use. It's a shame that so much goes to waste though. 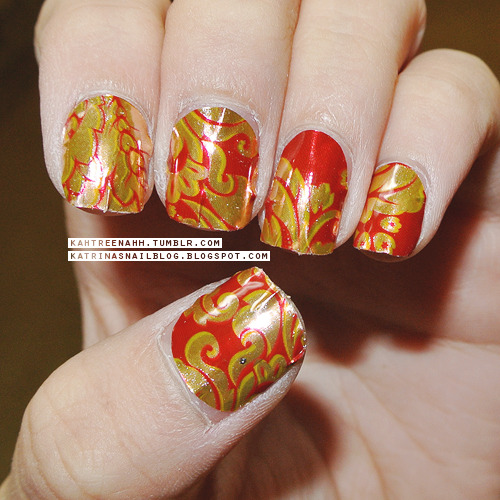 This is the Red/Gold Floral nail foil strips. These foil strips, on the other hand, were not enjoyable. They were too stiff, too thick, and the sizes were really big. They lifted at the edge, they did not sit comfortably on my nails, and application wasn't all that. 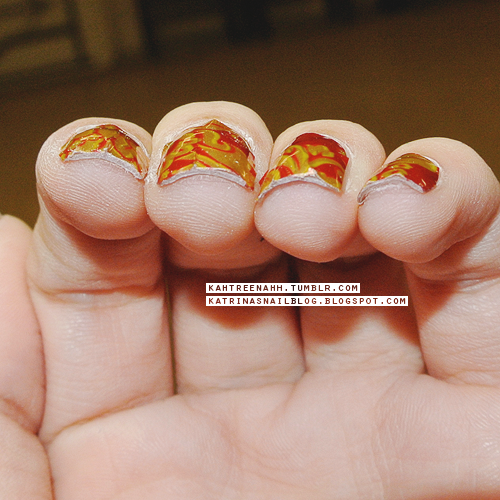 You can see that the foils did not apply well to my nails. Nail strips for $5? I like the sound of that~ I would definitely recommend the nail polish strips, they were really easy to work with, but I wouldn't recommend the foil strips. 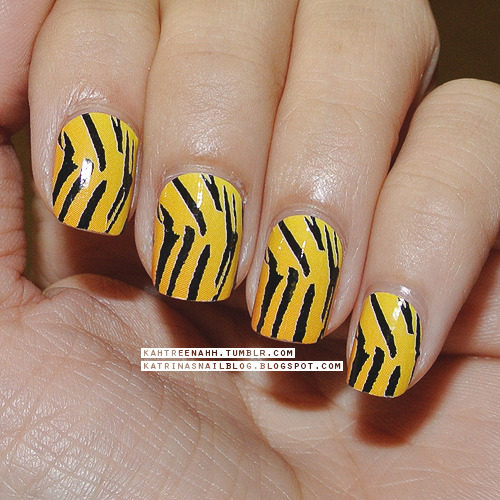 The first one with the tiger stripes looks so cool! perfect application! Yeah... I can't wear metallic patches too! I have always wanted to try these, so i applied one to my little finger and didn't apply well. :( I prefer now just to paint it myself. 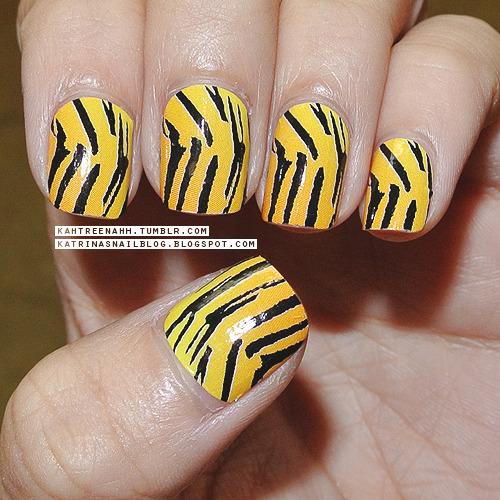 Loved the tiger stripes lots.